Optimize your plants' growth, and flower blooming frequency and color intensity with some of the best Fertilizer on the market! 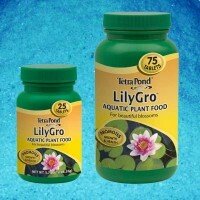 Specially formulated for blooming aquatic plants, with a 10-26-10 ratio of nutrients, HIGHLAND RIM fertilizer tablets give your water lilies, lotuses and blooming marginals plenty of phosphorus to produce the most spectacular blossoms possible. 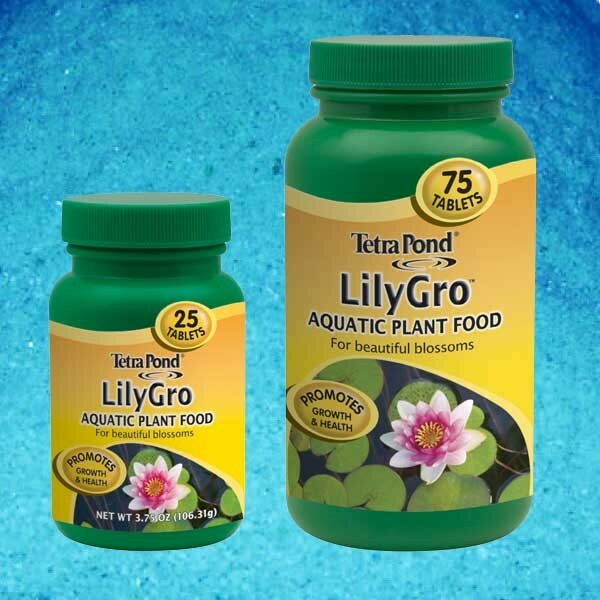 In particular, water lilies and lotuses are heavy feeders that need regular fertilizing if you underfeed them, they'll under-perform, with unimpressive flowers, yellow leaves and a weak appearance. 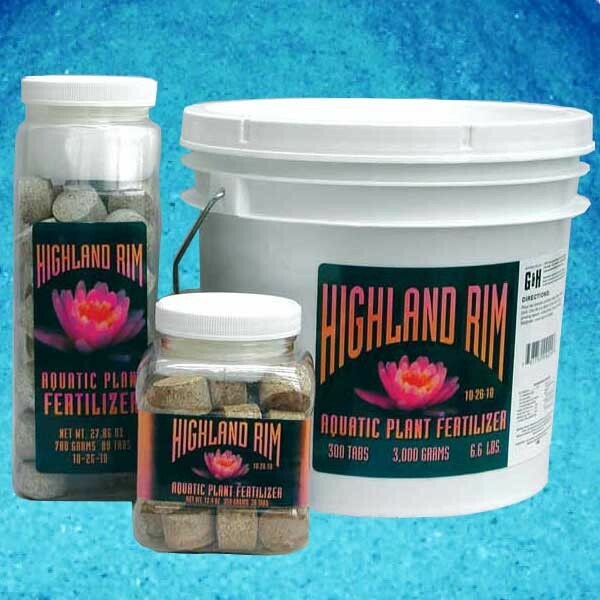 With nourishment from HIGHLAND RIM fertilizer tablets, they'll produce their biggest, brightest, most beautiful blooms possible. 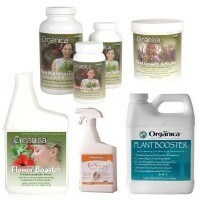 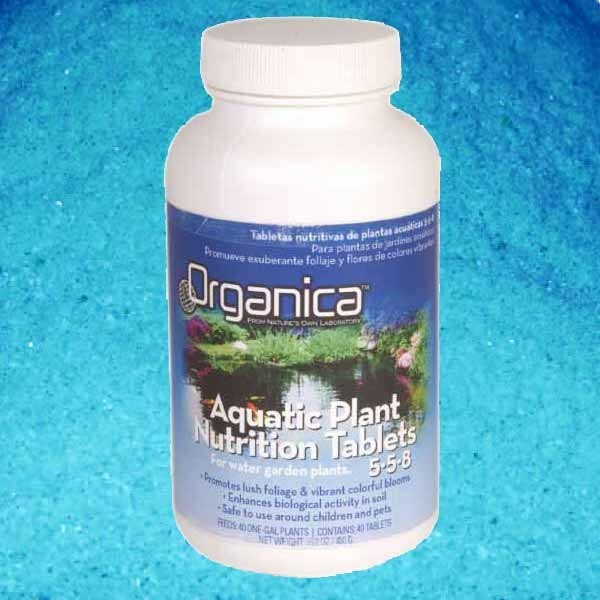 were developed by a water-garden nursery known worldwide for superior plants and products. 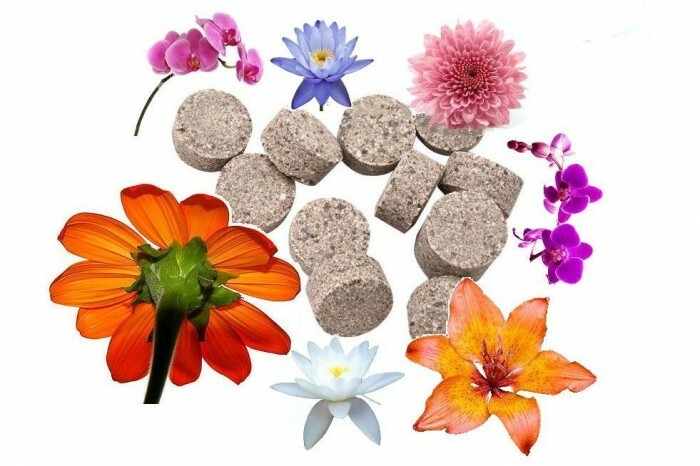 The essential elements and key micronutrients in each HIGHLAND RIM tablet are carefully formulated to promote flowering plants' maximum blooming potential. 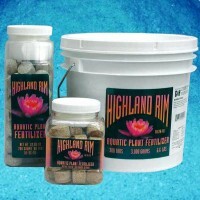 Specifically created as a fast-acting fertilizer, HIGHLAND RIM tablets give newly planted aquatic plants a strong, early start. 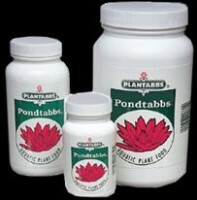 HIGHLAND RIM tablets are safe and non-toxic. 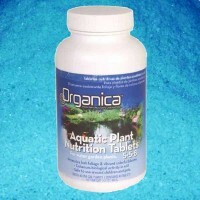 They will not promote algae blooms in ponds, and they will not harm fish or other aquatic life.